Where each guest is treated as an individual and their stay at camp is tailored to ensure a healthy mind and body. Mystic Mountain Retreat is fully licensed and insured by Snohomish County. • 15 private indoor heated rooms with outdoor access provided for each guest, or set of guests. • Small/medium dog area separate from the large or active dog area. • Common indoor area for play and lounging during the evening or on rainy days. • Large secure outdoor play areas with lots of toys and human care-giver interaction. • Supervised free-range group play periods for dogs that like to play with other dogs; each group is mixed with other dogs of like energy, ability, health, age and size. • Private play periods for guests who prefer space from other guests. • Nature trails and logging roads for leashed hikes for dogs that don’t like to play. • Morning potty break & breakfast about 8:00 am; play/walks throughout the day; Dinner about 4:30 pm; Evening potty and treat break about 8:30 pm (always a rest right after eating to digest food) (about 8 outings per day, we work hard to ensure the activity level is met for each guest). • While we can care for dogs who don’t do well with other dogs, we are very hands on with our guests so all dogs must be safe with our caregivers…we are unable to care for reactive dogs that my be aggressive with humans. If your dog is deemed unsafe you will need to pickup your dog as we don’t have any kennels that are safe for aggressive dogs. • For the safety of the dogs we are unable to care for dogs that have severe separation anxiety, please contact Cindy if you feel your dog may have issues with staying away from humans in their room overnight and between play sessions. • Trial overnights are recommended if you are unsure if your dog will do well at camp for separation anxiety, possible aggression or other reasons. 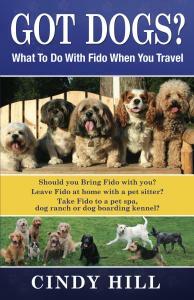 This allows everyone to determine if we are the right fit while the owners are available to pickup the pup. There is no extra charge for administration of normal supplements, medications, special diets, bandage changes, or walking support. For insulin injections a charge of $5 per each sub-Q injection. Other extra special needs cases will be reviewed prior to the visit to ascertain if any extra special care might require additional charges.